Opposite the Philharmonic Hall stands the 1930s extension to the Blind School, next to the now empty Greek style building that once housed it (until recently the Trade Unions and Unemployed Resource Centre). Earlier the school had been at the site of the now demolished Odeon on London Road. It is now the Royal School for the Blind, in Church Road, Wavertree. One of the schools’ founders, Edward Rushton, is a great Liverpool example of the the waves of radical reform that were beginning to sweep over Europe. Rushton (1756 – 1814) was a poet, slavery abolitionist and co-founder of the first school for the blind in the country. Born in John Street, Liverpool, Edward was the son of Thomas Rushton, a victualler. Apprenticed to a Liverpool shipping company by the age of eleven, Edward was promoted to second mate around five years later after demonstrating outstanding courage in guiding a vessel – which the captain and crew were prepared to abandon during a storm out in the Mersey Estuary – back to port. While on a slaver bound for Dominica in 1773, Rushton grew so appalled by the sadistic treatment of the captives he remonstrated with the captain to the point of being charged with mutiny. As the only member of the crew willing to tend to their suffering, Rushton contracted the highly contagious ophthalmia, which left him blind. Rushton’s Aunt took him in shortly after his return – his father having now remarried a woman antagonised by Edward’s presence. The injustices Rushton observed at sea led to the publication of his first book-length work, The Dismembered Empire (1782), a denunciation of British rulers and merchants in the framework of the American War of Independence. Furthermore, in the same year as he published a poetry volume on the tragic neglect of Thomas Chatterton, his disgust at the slave trade was given further voice in The West Indian Eclogues (1787). A decade later he wrote to his former hero George Washington, pointing up the hypocrisy of retaining slaves while fighting for freedom: ‘In the name of justice what can induce you thus to tarnish your own well-earned celebrity and to impair the fair features of American liberty with so foul and indelible a blot’. A similar letter was dispatched to Thomas Paine, but neither he nor Washington tendered a reply. Nonetheless, Rushton’s bold reputation prompted Thomas Clarkson to credit his contribution to the abolitionist cause upon visiting Liverpool. After his marriage around 1784 to Isabella Rain, Rushton went on to become editor of the Liverpool Herald. This career was soon cut short after he reproached brutal press-gang practice in several articles, and rebuffed his partner’s suggestion of a retraction. This episode in Rushton’s life inspired the poem Will Clewine (1806). When he became a bookseller at 44 Paradise Street, Rushton’s outspoken political convictions deterred potential custom, but not to the extent of preventing him from living out his life in relative comfort, and giving his children a sound education. In the late 1780s Rushton became a member of a literary and philosophical society – thought to have been the forerunner of William Roscoe and James Currie’s ill-fated radical Debating Society – where the idea of raising funds to offer care for local blind paupers came into effect. 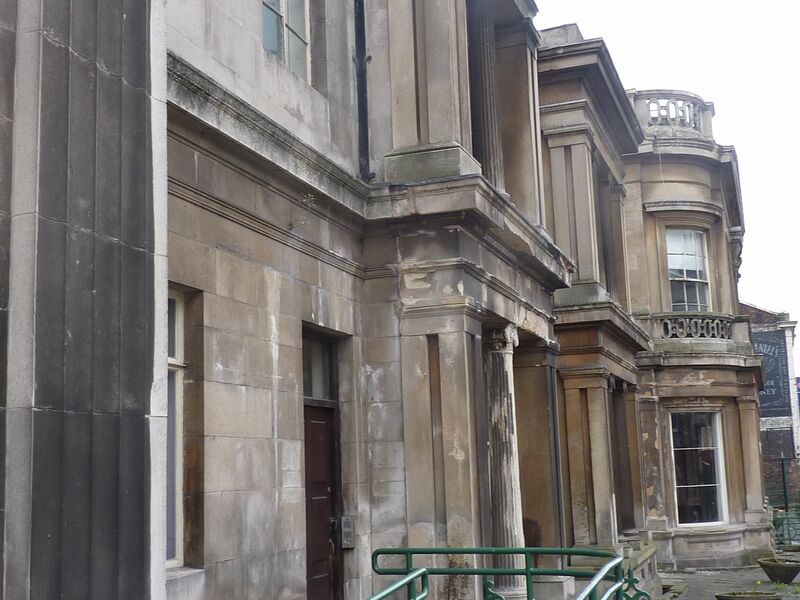 The Liverpool School for the Indigent Blind opened in 1791. 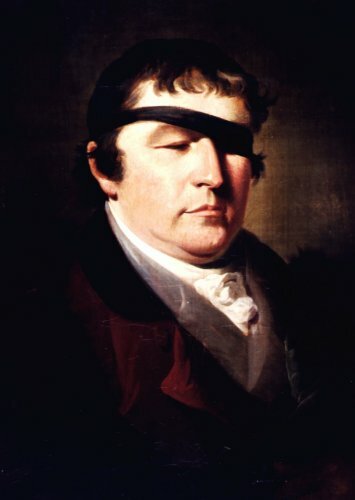 Rushton published a collection of poems in 1806, and the following year an operation by the Manchester surgeon Benjamin Gibson restored his sight, enabling him to see his wife and children for the first time. Rushton died of paralysis on 22 November 1814 at his home on Paradise Street, just a few years after the death of his wife and one of his daughters. The eldest of his four children, also Edward, became a prominent social reformer in Liverpool’s political landscape, advocating Catholic emancipation and prison reform. Brave words although rather unorthodox for the time. Rushton died on 22nd November 1814 of paralysis and was buried in St.James’ Churchyard. Although not a great poet or a man of advanced political opinions, he was still a remarkable man for his time and a fighter for the under-dog and for freedom in its many forms. A contemporary called him, “A man of high moral qualities, of great intellectual endowments and of the most inflexible strength of principle”. Until now there has been little recognition of Edward Rushton’s life and work. It seems that it is time this was addressed. Well recognised and he sounds like a man worth remembering.